Stockholm, Sweden, 2017-Oct-09 — /Travel PR News/ — SAS continues to adapt its services to fulfil the desires of SAS travelers. From 4 October, SAS will be one of the few scheduled airlines in Europe to offer its travelers, in SAS Go, the opportunity to pre-order food for their journey, adapted to their dietary and lifestyle requirements, including vegetarian, vegan, gluten-free and lactose-free options. Innovation has been a driving force for SAS over the company’s 70 years in the skies. 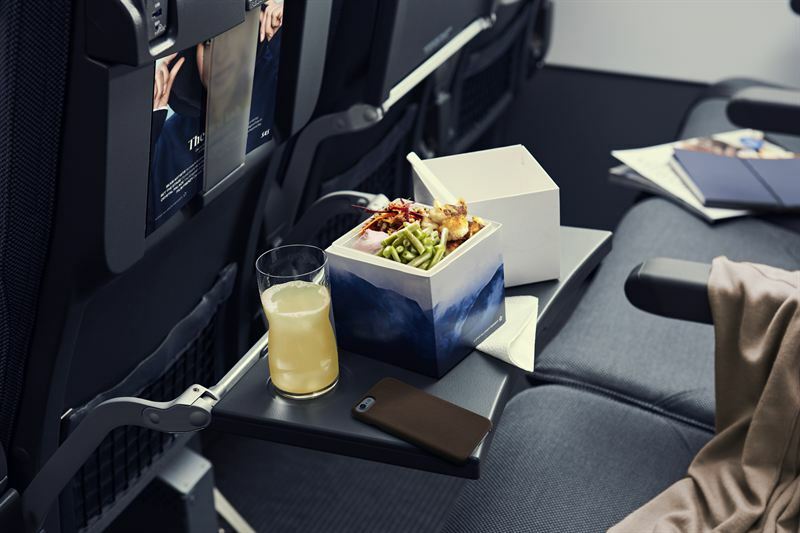 SAS recently launched its new food and drink concept, “New Nordic by SAS”, for travelers in SAS Plus on all flights within Europe and on Scandinavian and domestic routes. The concept focuses on locally sourced products and seasonal ingredients. SAS continues to create new experiences based on the needs and wants of our travelers and we are now one of a handful of scheduled airlines to offer the opportunity to pre-order food adapted to dietary and lifestyle requirements to passengers traveling in SAS Go on flights within Europe of at least 2 hours’ duration, in line with the same concept. Watch the film here. The food is served in the New Nordic by SAS design that is unique in the industry and is inspired by take-out culture. All meals come packed in a cube, making it easy to eat while working, reading or watching a movie. Pre-ordering is the only way to guarantee this food, which must be purchased in advance. The meals can be pre-ordered at least 18 hours before your journey, at the time of booking, on the SAS website, through your travel agent or through SAS Call Centers. The price is EUR 11 (except for the mini pizza, which is EUR 6). * On flights to the USA and Asia, food is included in SAS Go and passengers are able to call in advance and order special requirements food. This entry was posted in Airlines, Flights, Food & Drinks, Travel, Travel Services, Travelers and tagged SAS, SAS Go, Therese Lorenius. Bookmark the permalink.